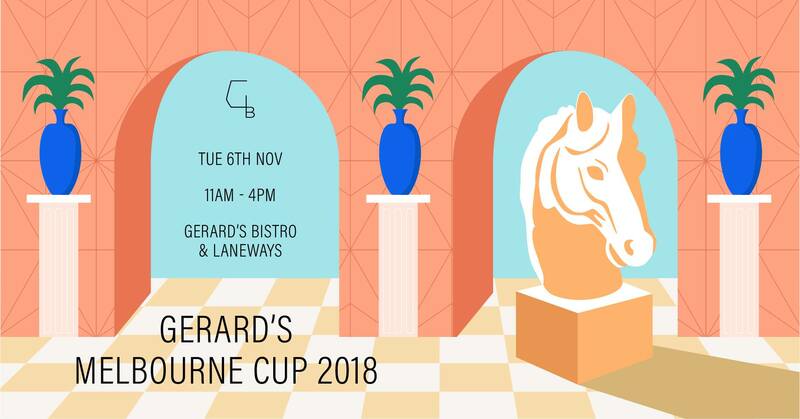 Continuing the Cup Day legacy, Gerard’s Bistro and Bar invites you to join us on Tuesday November 6th where you will be transported to a springtime bazaar and indulge in the vibrant culture of the modern Middle East. Prepare to delight the senses as you taste the fruits and nectar of the Mediterranean and join a party that will lead the race this Melbourne Cup Day… The exotic sun awaits! Gerard’s Lane, 14 / 15 James St, Fortitude Valley Brisbane, QLD 4006. Tel: (07) 3852 3822.